The Food and Cookery of Malta and Gozo by Helen Caruana Galizia is not simply 'another' cookery book of Maltese dishes, but also a vivid description of the rapid changes in nutrition and food fashions. The author, although very conscious of changing circumstances, influences, and developments in the culinary arts, tries hard and succeeds in providing us with the original Maltese recipes. While waves of different foods keep hitting us and our eating habits keep changing, this book does not shy away from the new culinary trends including vegetarian recipes. Of course it neither forgets the 'traditional Maltese dishes' that, above anything else, valued meat-eating, and which the Maltese migrants took with them beyond the shores of Mediterranean Malta. An example of an alternative recipe for vegetarians is imqarrun il-forn (baked macaroni) cooked with aubergines instead of minced meat. 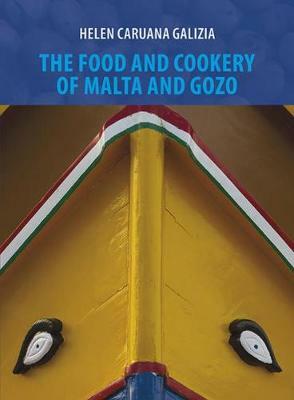 The author includes a chapter on 'Vegetarianism and the Maltese Diet' and holds that the Maltese diet has always relied heavily on vegetables and makes good use of them throughout the seasons. New trends, however, may have moved us away from what used to be considered as traditional Maltese foods, and are fast becoming part of our allegedly healthier lifestyle. High-fibre diets, organic foods and biological foods, all masquerade as an integral part of 'healthy' eating. Caruana Galizia also looks into important environmental issues such as overfishing, especially of the bluefin tuna, the introduction of new parasites from Asia and elsewhere, genetically modified products and their impact on our health, air pollution, the alarming decline in the bee population and the emergence of environmental groups. Zero kilometres remind us of the environmental cost of transporting food from far away thus she emphasizes the importance of making the most of local fruit and vegetables in season. Tastes have never been governed solely by nutrition. On the contrary, nutrition plays only a small part in the choice of our food. All cultures go to great lengths in choosing their preferred foods, and very often, ignore valuable food sources close at hand. People will not eat just anything, whatever the circumstances.